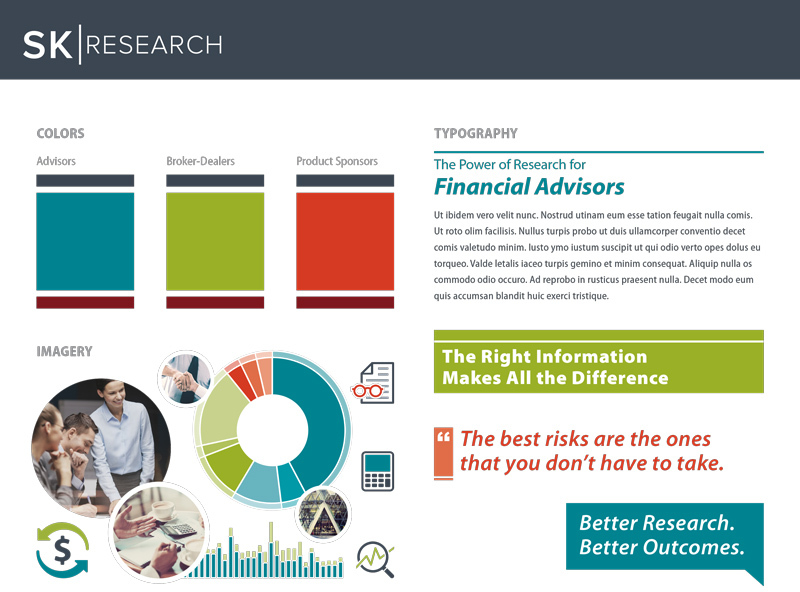 In 2014 RCS Capital acquired SK Research and a year later they asked for a redesign of their brand. SK Research conducts independent investment research to serve three audiences: broker-dealers, individual advisors, and product sponsors. Using the logo I originally designed, I worked as part of a team to create an new and exciting direction for SK Research - one that was inviting, friendly and unlike any of its competition. We created a brand system that would target each of the three separate audiences with its own color scheme using colorful icons and toned photography. This would aid the sales team in identifying their audiences and help in the organization of the materials. It would also give each separate audience its own identity, further differentiating them while also showing how SK Research can serve each audience specifically and effectively. Below is the icons set we customized for the new brand - matching them with the colors of each target audience. 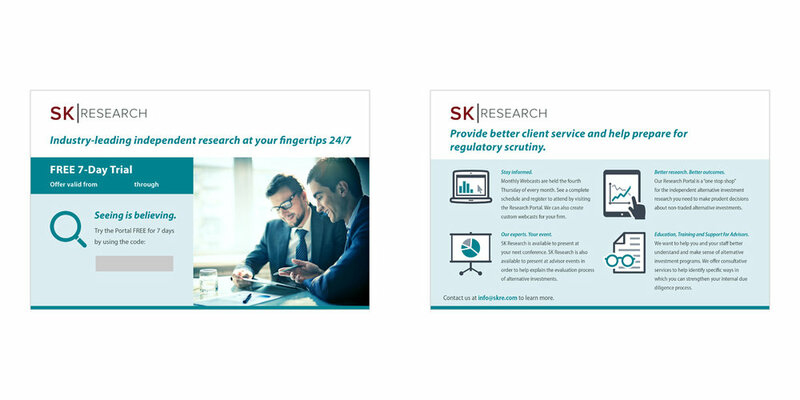 Below are the Advisor and Broker-Dealer brochures, as well as a customizable postcard advertising the new SK Research web portal.